The Uffizi Gallery in Florence will be restoring sculptures in public, starting with Baccio Bandinelli’s 16th c. copy of the famous second century B.C. 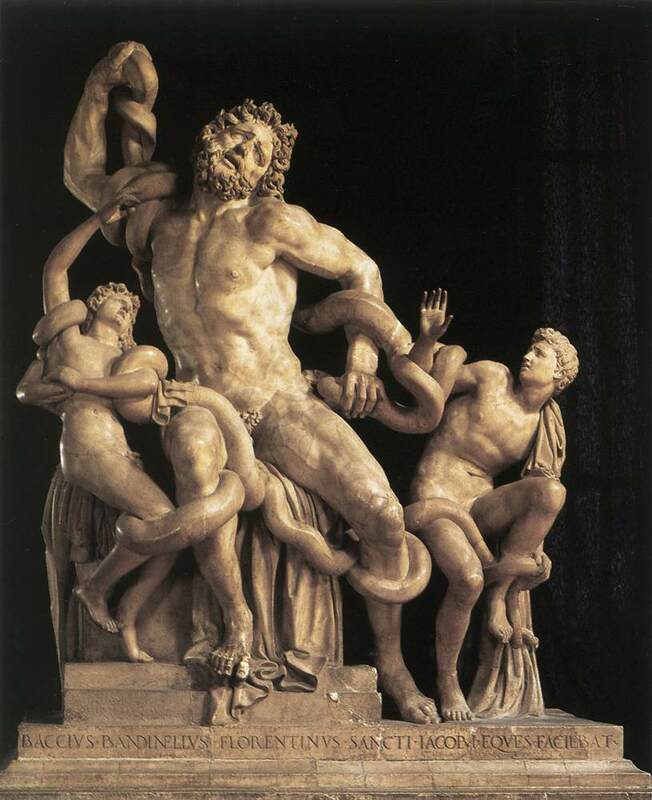 Greek Laocoön group. During the “open air restoration”, which will take place behind clear plastic screens, the public can see how restorers use laser technology and deionised water to remove fatty substances, old layers of wax and dust deposits from the priceless sculptures. Experts will also check the structural strength of the works, paying special attention to repairs done in the past following a fire in the Uffizi in 1762. As if the Uffizi weren’t interesting enough to visit. Now it’s like an action museum! 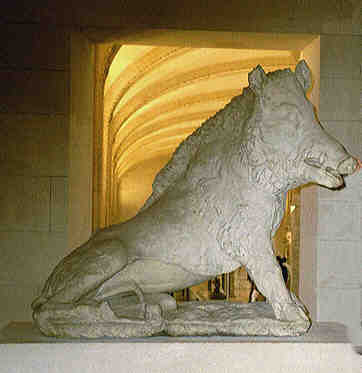 Other works slated for restoration as a spectator sport include a Roman statue of Hercules at the end of his labours, two first century Roman busts of unnamed elderly gents, and the marble “Cinghiale” (aka wild boar) which was the model for the bronze “Porcellino” (aka piglet) that has become a symbol of Florence.